Nilsson Shipping offer generator sets from 5kVA to 2200kVA, and we are able to deliver at very competitive prices and short delivery time. 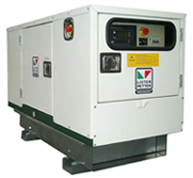 All our generators / gensets are designed to meet international approval specification, including ISO 8528 and are compliant with current EC safety and environmental regulations. 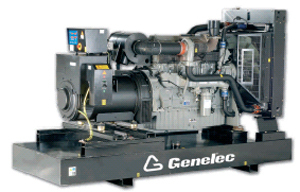 The gensets are built in a fully accredited ISO 9001 and ISO 14001 company. We also offer heavy oil burners 55 kW – 44640.0 kW, boiler and burner accessories. We are a 0ne Stop Shop for our customer, when they need power and energy products, we also offer installation and maintenance contract for all our power and energy products, or we can make an introduction to other professionals, alternatively we can work with the clients' chosen professionals.